Hands down, chips and dip are the best entertainment foods to ever exist. This fact can be confirmed in an instant by any grocery shopper strolling down the chip isle on Super Bowl Sunday or New Year's Eve. However, you may want to hold off on buying those standard salsas or dips at the store—especially if you own a food processor. 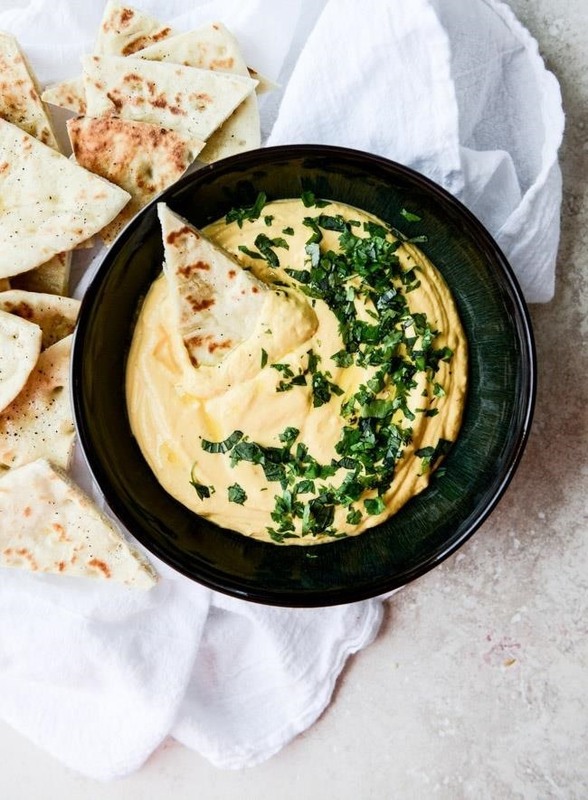 A food processor is all you need to recreate any dip imaginable, whether it be textured, creamy, spicy, cheesy, nutty, or sweet. So whether you're looking to save money, add more flavor to your humdrum dips, or are feeling adventurous, you should give making your own dips a try—it literally takes less than 5 minutes, regardless of what you're making. Hummus is a Middle Eastern chickpea-based dip with a creamy texture and a bright, nutty taste that is to die for. Chickpeas will pair well with just about any roasted vegetable purée or spice including garlic, roasted red pepper, and sun dried tomato. The Kitchn has a detailed post that will teach you how to make hummus at home. 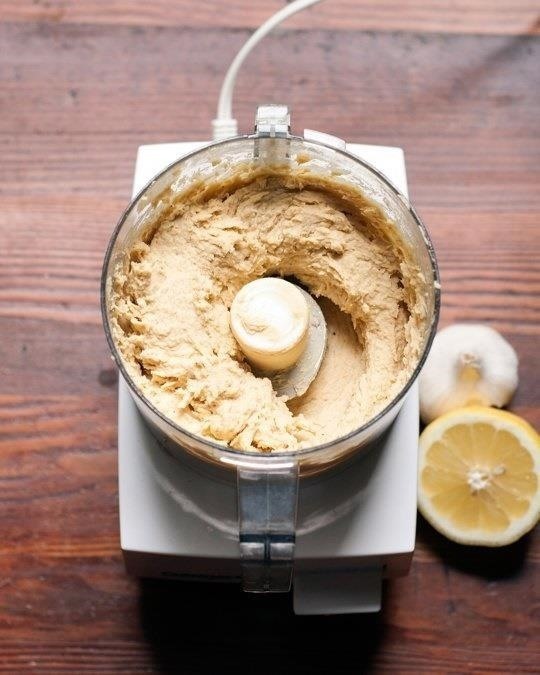 Before you know it, your food processor will become a hummus machine, and you will be enjoying it as a dip for vegetables, chips, pita bread, or even as a salad topping. 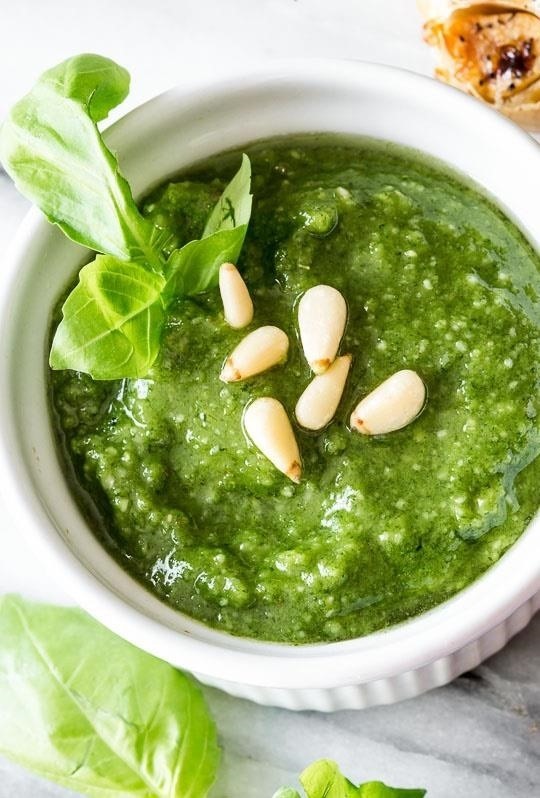 Pesto is a sauce made of basil leaves, pine nuts, garlic, Parmesan cheese, and olive oil. A food processor is an excellent tool for emulsifying these fresh ingredients together to create a sauce for dipping or tossing in with salads, pastas, or rice dishes. 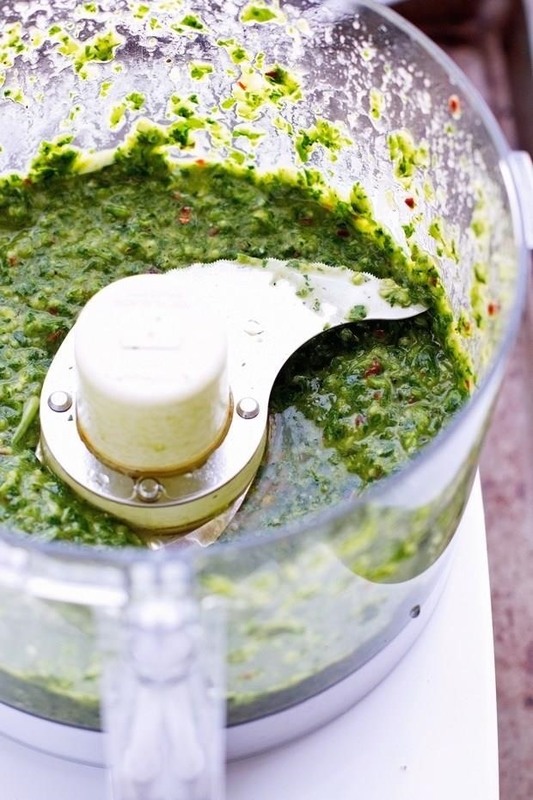 Sally's Baking Addiction features a simple, easy-to-follow recipe for a delightful basil pesto. 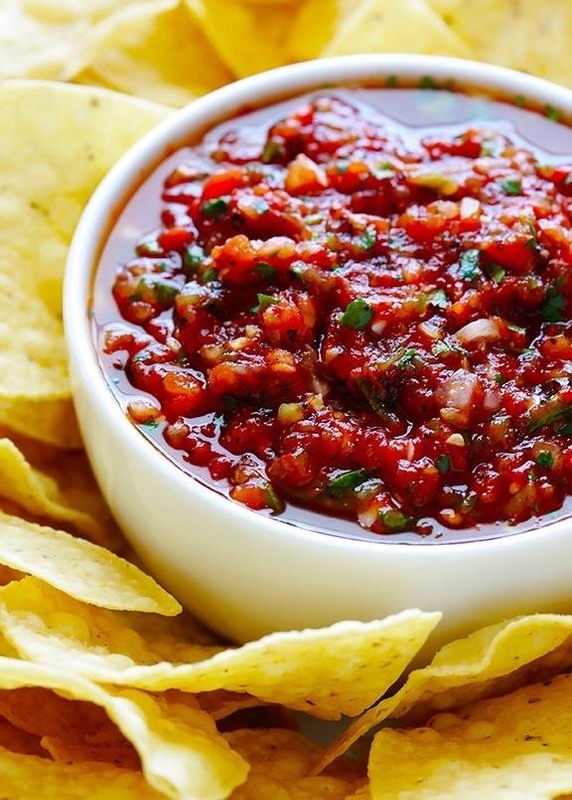 There's no longer a need to go out for Mexican food to eat fresh salsa. Gimme Some Oven has a recipe for an effortless restaurant-style fresh salsa that can be made using a food processor. 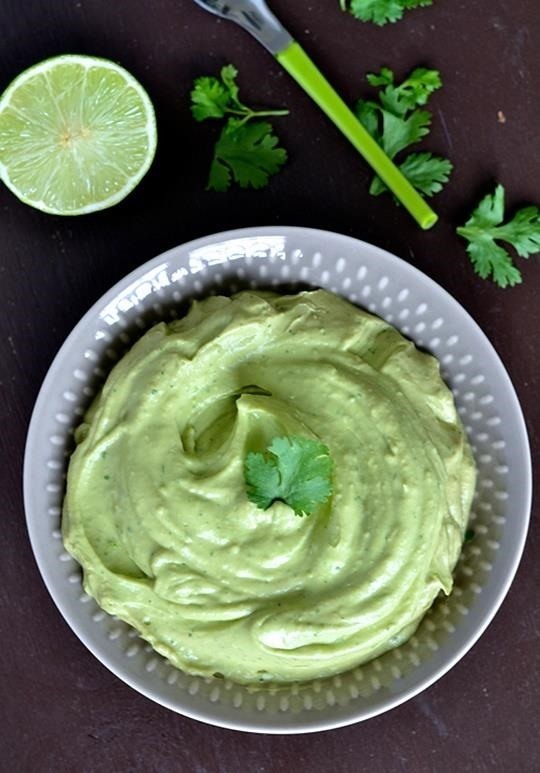 If you're a fan of guacamole, then you've got to try this creamy avocado dip by Not Enough Cinnamon. This recipe blends cream cheese with avocados to produce an extra-velvety texture and deep, rich flavor. 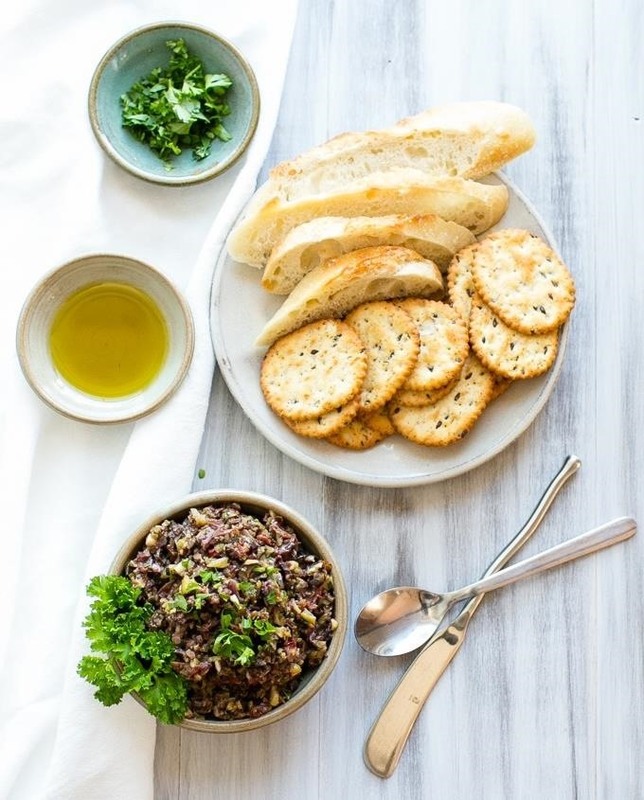 Olive tapenade is an easy to make appetizer that is perfect on toast or crackers and is guaranteed to impress party guests. It can be made as either a chunky dip or a smooth spread depending on how long you process it. Vanilla and Bean's recipe pacts a perfectly salty and garlic punch that pairs perfectly with an elegant cocktail at your next cocktail party. Little Spice Jar veered from classic parsley and garlic chimichurri and created a herbaceous sauce with cilantro, lemon juice, and scallions that can be made in just 5 minutes using a food processor. After roasting sweet, ripe squash to a nearly caramelized state, you can combine it with a soft cheese in a food processor to make a fall and winter seasonal dip. 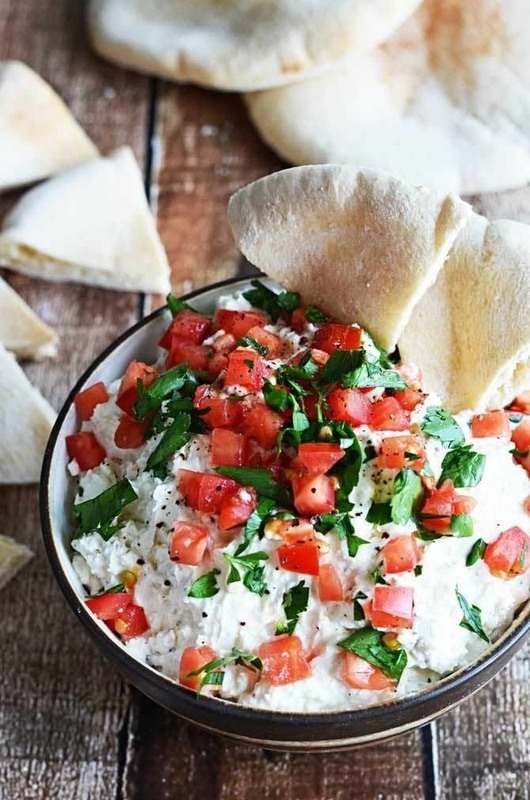 How Sweet Eats has an easy-to-follow recipe for butternut squash goat cheese dip perfect for dipping vegetables or pita bread. 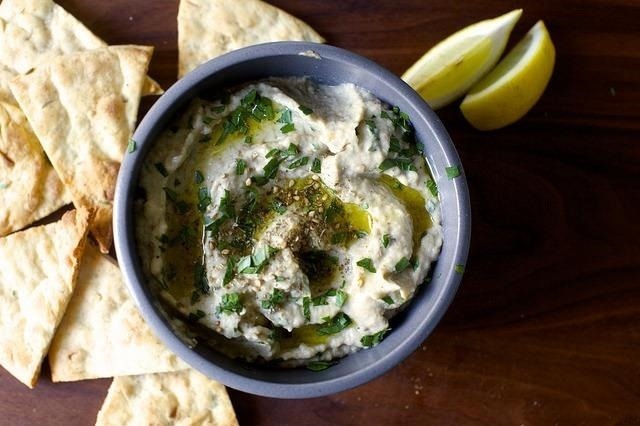 Eggplant dip, commonly known as baba ghanoush, is a Levantine dip that can be made at home in a food processor with just an eggplant, tahini, olive oil, and a few spices. Smitten Kitchen came up with a smoky eggplant dip made by charring the skin of an eggplant before processing for an earthy, full-bodied flavor. 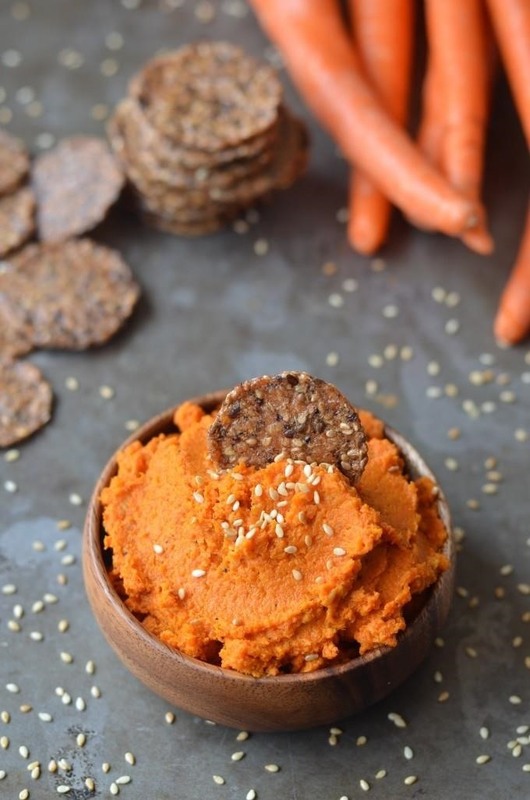 If you're looking for healthy cracker dip, Coffee and Quinoa's recipe for Moroccan-spiced dip will add a surprising kick to naturally sweet carrots. Patés are a mixture of seasoned poultry, seafood, or vegetables that are puréed into a spreadable paste. One of the most common base ingredients used to make a paté is chicken liver. 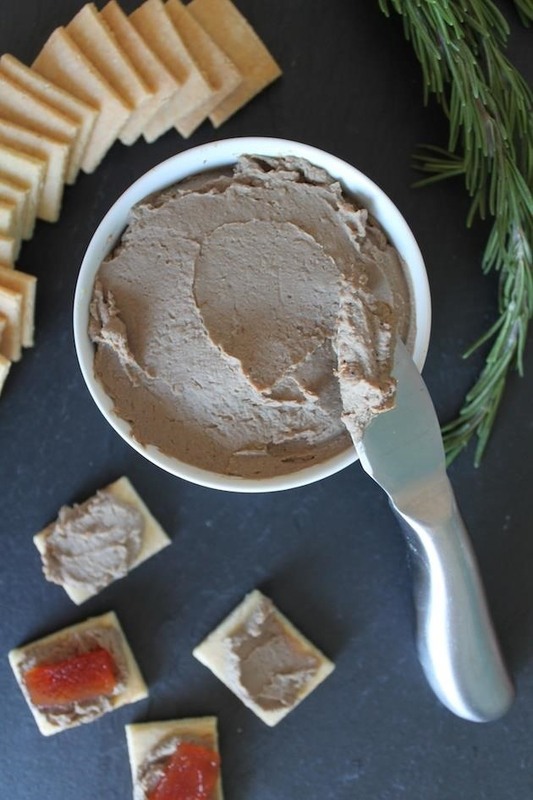 Paleo Magazine has a recipe for a spreadable chicken liver made using a food processor. If you like kale, there's a good chance you will also like watercress. Down Cakery Lane has a recipe for watercress dip made with tangy greek yogurt to offset the slight bitter green flavor of watercress. While blue cheese dip is a tasty on chips, it also happens to be the perfect flavor and texture compliment for chicken wings. 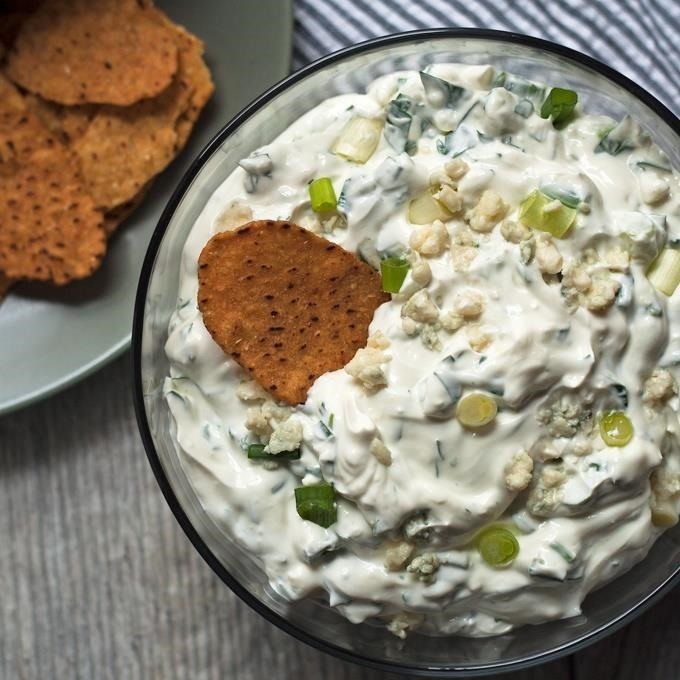 Check out Honey and Birch's recipe for creamy blue cheese dip and prepare to be blown away by the tangy flavor and lemony finish of blue cheese in combination with sour cream. When I want a creamier and more filling dip for tortilla chips than salsa, I always turn to black bean dip. It's a low-fat alternative for hummus and tastes excellent with the addition of lime juice. 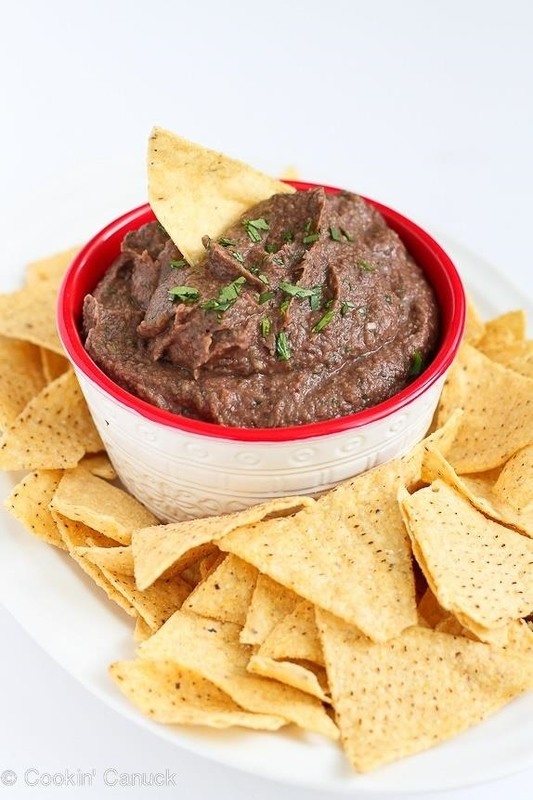 You absolutely must serve Cookin' Canuck's 5-minute black bean dip as a side at your next taco night feast. 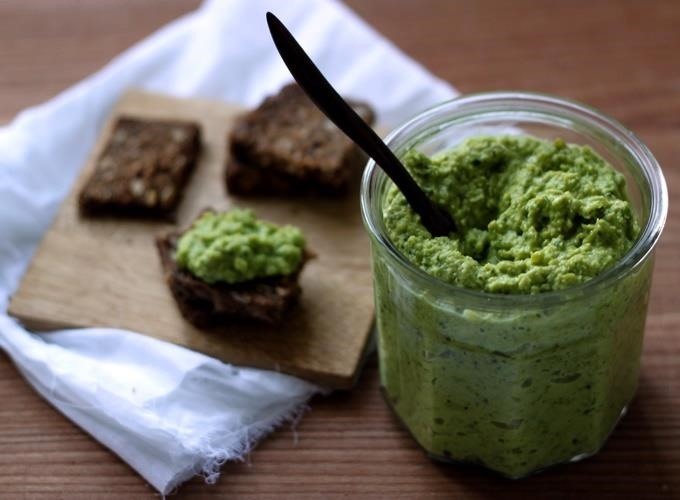 This simple mint pea dip from My New Roots screams springtime with its crisp and fresh flavor. 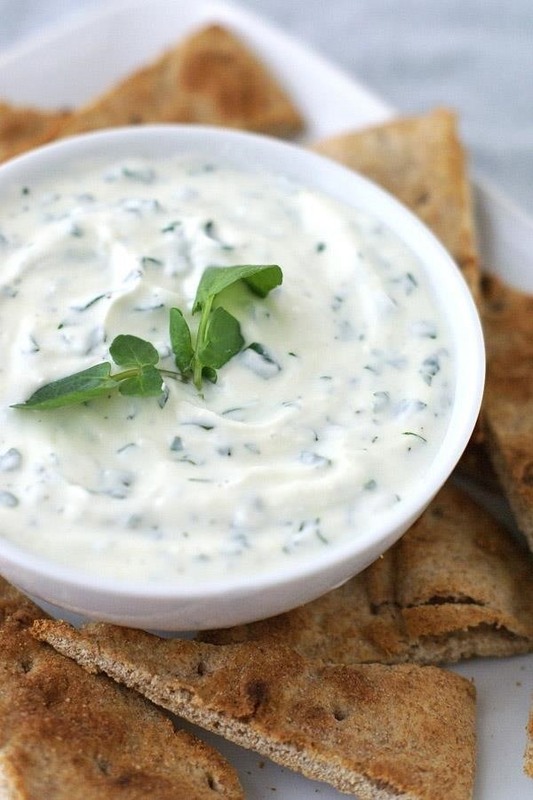 It can be made either light or creamy with the addition of tahini and is an extremely healthy and versatile dip. Green goddess is becoming a trendy salad dressing at the grocery store, but it can also be made at home and used as a dip for chips, vegetables, or seafood. 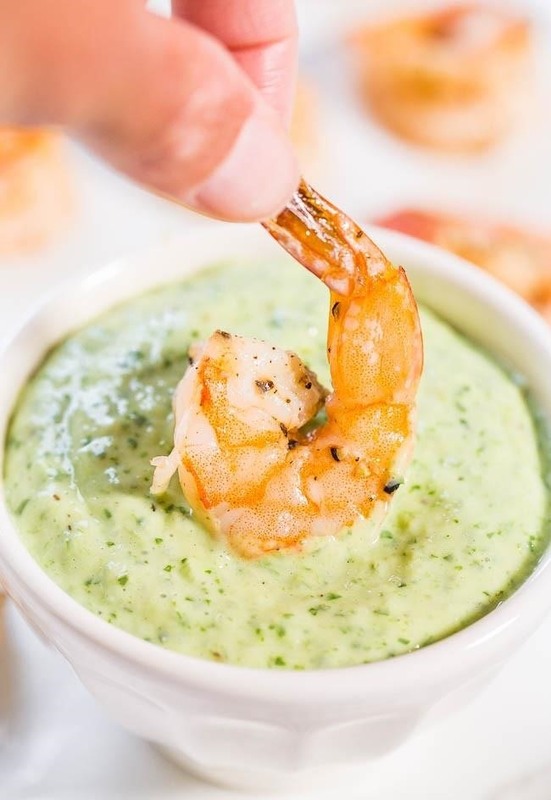 Averie Cooks provides a cool and creamy green goddess dip that you must try as a dip with her roasted shrimp. 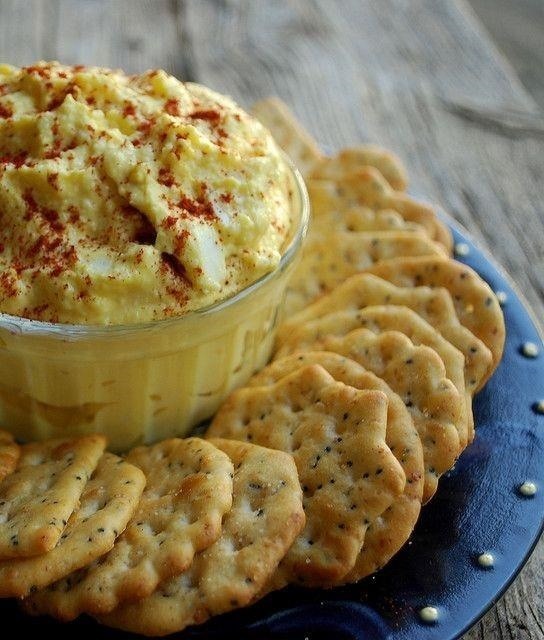 You don't need to buy crab legs to make a delicious crab dip. The Pioneer Woman has a recipe for food processor avocado crab dip made using drained, canned crab meat. Once blended together with sour cream and cream cheese, you won't even know the difference! 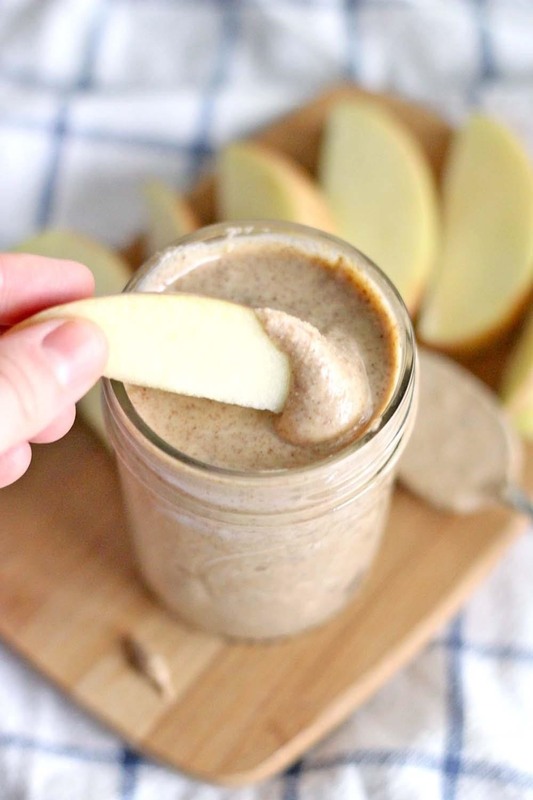 Fresh nut butters can be quite the expense at your local grocery store, especially almond butter. For this reason, I like to make homemade nut butters. They are delightfully nutty when eaten as a spread or used as a dip for apples or celery. Bowl of Delicious has a step-by-step recipe for making almond butter, and all you need is a food processor and a little patience! Dips can also make great desserts! 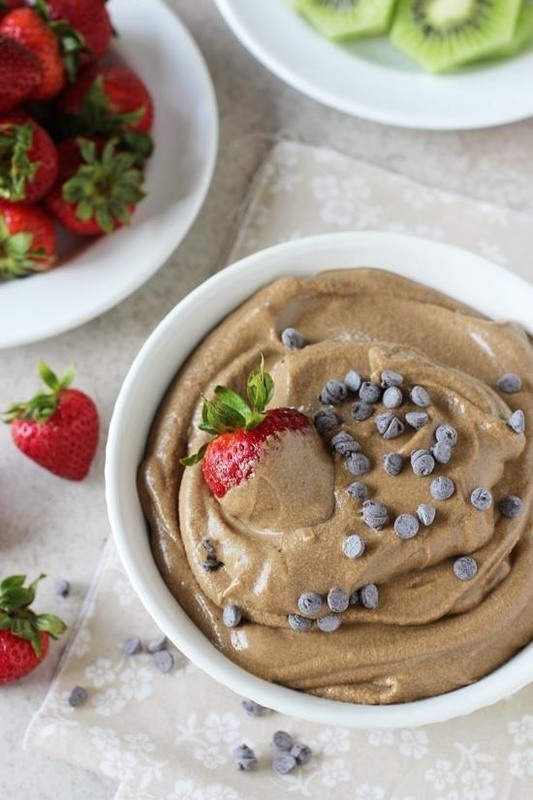 Cook Nourish Bliss has a recipe for a guilt-free chocolate fruit dip made with canned coconut milk and avocados. Its light and fluffy texture is a great complement to fresh fruit in the summertime. 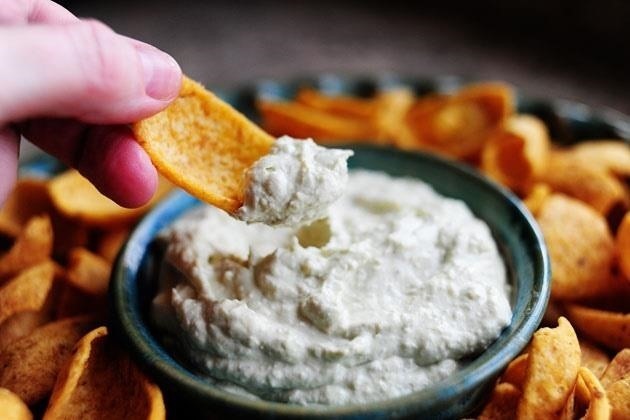 There are so many creative and flavorful dips that can be made at home in your food processor. Not only will you be amazed at the difference between fresh and store bought flavors, but you will also save money on your grocery bill. So take out your food processor, gather your ingredients, process, and start dipping.